Heavy faux rust. Brass. 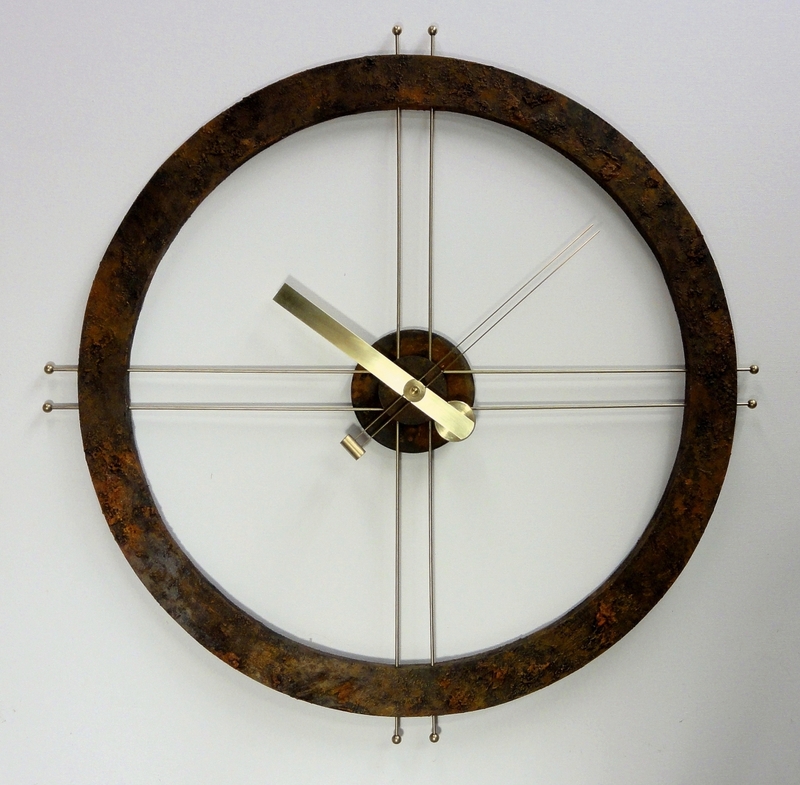 Hand made clock hands.. 34" in diameter. Minimalist Steampunk design.